If you cut the cord, you just may cut yourself off from vital political discourse. And that’s wrong. This month’s theatrical GOP primary debate was a watershed event: Gov. Kasich became a national figure, Megyn Kelly definitively exposed the misogyny of Mr. Trump (only to wind up in a spat with him), and Jeb Bush turned shy. But few remarked on what may be a more significant milestone: The Fox News debate marked the moment when politics became indistinguishable from sport in more than just entertainment value. Just as we can’t watch most sporting events (including large swathes of the Olympics) without a cable or satellite subscription, Americans couldn’t watch the debate online unless they were part of the cable/satellite ecosystem. So it seems to me maybe a little re-education (or myth-busting) might be useful. There are all kinds of public values at stake here, and we shouldn’t glide past them. This is the place where the increasingly blurry public/private line should, for many people, stand out in sharp relief. There is no speech more central to civic life than a political debate. And yet we have allowed access to that speech by way of the common medium of our era — high-speed Internet access — to be controlled by a cabal of private actors. The thing is that Fox News Channel owes its existence — completely — to a federal statutory regime aimed at supporting the “public trustee” role of traditional TV broadcasters. And yet all the “public-ness” of that deal has been washed away: Fox News felt no need to ensure that online viewers could watch the debate. That meant that cord-cutters and cord-nevers — basically, Millennials and an ever-increasing chunk of Americans — whose high-speed Internet access wasn’t sold to them by a cable company had to wait for re-runs. Let me explain. The story starts in the mid-1980s with the cobbling together by Rupert Murdoch’s News Corporation of a bunch of independent broadcast TV stations and 20th Century Fox. The result: a fourth network, a competitor to CBS, ABC, and NBC, called the Fox Television Stations group. 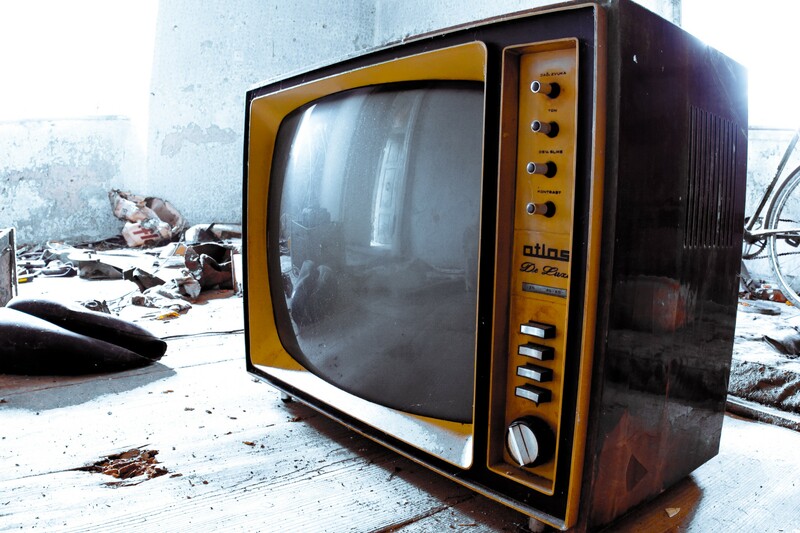 (For older people this history is unnecessary; few of my students, however, have heard of broadcast TV or know the difference between a cable channel and a broadcast television station). That network — using, by the way, spectrum licensed by the federal government — launched in October 1986 with The Late Show, hosted by the late Joan Rivers. Weird fact alert: The Fox television network differentiated itself by aiming its programming at a younger demographic — 18 to 49. The Simpsons. Family Guy. Married, with Children. It is this very demographic that isn’t part of the cable/satellite world and was more likely left out of the Fox News the-cable-channel debate audience last week. With the rise of cable distribution of television broadcasts in the 1970s and 1980s — distribution by way of wires rather than over the air — the public and legislators became increasingly worried that the cable industry was going to dominate the delivery of information and entertainment into American households. And so, in 1992, Congress passed a Cable Act that was aimed at making it possible for satellite delivery of television programming to be a viable competitor to cable. In order to get the broadcasters — Fox and its brethren — on board, Congress gave them the right to demand payment from cable and satellite companies for access to broadcast signals. This scheme, called “retransmission consent,” made the broadcasters very happy: in addition to selling ads, they could get cash from distributors. Two streams of revenue! The problem was, initially, that the cable guys (in particular) had no interest in sending cash to broadcasters. John Malone, then head of cable giant TCI, now the guy behind the upcoming Charter/Time Warner Cable/Bright House mega-merger, growled that he wasn’t paying a cent; “I don’t intend to pay any money,” he said. “I will scratch backs.” All the cable operators followed suit in refusing to pay for retransmission consent. As a result, broadcasters that chose retransmission consent received no cash; they got, instead, permission to distribute additional new cable channels. And that’s how Fox News Channel came into being in 1996. Instead of cash, Murdoch got distribution of another channel. He hired Roger Ailes, and we got The O’Reilly Factor and last week’s debate. It was an extraordinarily interesting debate, but it wasn’t for everyone, apparently. Fox News locked it down. You’d think that, considering how important this debate was, Fox News would livestream it online for everyone. But Fox News has no regulatory obligation to do so. No federal government, no spectrum license. No spectrum license, no broadcast rights. No broadcast rights, no cudgel to force distribution of Fox News. And, yet, the public interest in wide distribution of debates online hasn’t filtered down to Fox News. For them, this is just another sporting event. Maybe people found the debate online via illegal streams. Here’s the big story behind this. The linear — traditional — model of TV is crumbling, slowly, as more people find programming they’re happy with online. But sports programming remains the Gibraltar of the pay TV bundle: the bedrock, the real-time, must-have stuff that Americans will still pay for. And so pay TV executives, looking to smooth the obvious glide path sloping towards the irrelevance of thick bundles of TV-plus-data just long enough so their retirements will be secure and well-funded, want to turn new categories of programming into sports. Presto: debates become sports, unavailable in livestream form to anyone who doesn’t have a cable or satellite subscription. This is a bad idea. It’s insulting to the thicket of public values that gave this industry life in the first place. It’s wrong. And it shouldn’t happen again in this presidential season. Surely some pay TV guy or gal, somewhere, knows in his or her flinty, close-to-retirement heart of hearts that this practice must not continue. Let’s hope.